Again this year, there was a great mix of intelligent, brave, inspiring and funny speakers and entertainers, who challenged the audience to think, feel and act differently. I had three big take-outs from the day. These themes were in many different ways repeated over and over throughout the day and are good principles for us all to remember and try to live up to. 1. If You Don’t Step Over the Line, How Do You Know Where the Line Is? Remo Giuffré is a thinker and creative strategist with a long track record as an entrepreneur, retail merchant and brand builder. He is also the Founder and Licensee of TEDxSydney. In his welcome to the day Remo outlined for us TED’s overarching mission to nurture the spread of powerful ideas. His ambition is to continuously challenge people and push the boundaries of our understanding, our compassion, our biases and our use of technology. Remo eloquently said that in the quest for innovation we not only have to keep moving the line but actually step over it. I think this is such a powerful metaphor; innovation isn’t a destination, rather a continuous journey we take as humanity. So long as we don’t destroy ourselves or our planet we will have to keep innovating and building our improving understanding of community and acceptance of each other. 2. When We Know Better, We Can Do Better. Tara Winkler is the Managing Director of the Cambodian Children’s Trust (CCT) which she established in 2007 in order to rescue fourteen Children from a corrupt and abusive orphanage. Unfortunately, Tara found out that the well-meaning support and donations from the West fuels an industry that exploits foreigners in exchange for donations. Building more orphanages is not the solution; it was actually part of the problem. To break the cycle of poverty children need to be taken out of institutions and have family based care and love. This was an eye-opening revelation and puts paid to the some of the charity-tourism, which has become an industry in itself. Tara made me wonder how many other things we take for granted that may be based on an underlying false assumption or result in unintended consequences? Curiosity about the world around us is part of the answer; a quest for deeper understanding and knowledge is always a good thing. And most importantly, owning up to our mistakes and having the courage to make a change. Tara was truly inspirational. You can read more about it in her just published book How (Not) to Start an Orphanage. Peta Murchinson and Gill Hicks, two incredibly inspiring women, shared powerful and very moving stories. Both connected with and captivated the audience – I doubt there would have been a dry eye in the auditorium for both talks. Peta’s daughter is dying of Batten Disease, a very rare degenerative genetic disease that affects otherwise healthy children. Peta has had to face the absolute certainty of losing her daughter and at the same time open herself up to the warmth, compassion and generosity of her daughter’s school, community and even complete strangers. Gill Hicks is a survivor of the London terrorist bombings in July 2005. She shared with us the horror of the attack, her rescue and her permanent injuries, losing both legs from just below the knee. Her vivid account of that day left me breathless, and her acceptance and forgiveness for what has happened to her is inspirational. She has dedicated her life to being an advocate for peace and refuses to talk about ‘the others’ or ‘the enemies’; we are all human and we all have the capacity for kindness and forgiveness. Although the two stories are quite different what connected them, for me, was that through the depth of their sadness and horrific injuries, both these women found the courage to keep going and to not only endure, but to grow and open up to the love and kindness, sometimes from strangers, that helped them both to face their adversities. A day at TEDx is a day well spent and certainly challenges you to think and act differently: something we should all do more of, more often! Last month we reviewed 10 Australian Food Influencers You Should Follow. Now we are taking a look at some of Australia’s most influential lifestyle influencers. This talented bunch runs the gamut from beauty, sport, and fashion to food and travel. What links them all is a love of life, spontaneity, great attitude, an eye for beautiful visual content creation, and of course armies of followers that hang off their every word and post. This is just a small sample of great Australian influencers worth checking out. If you would like to know more, or how your brand can benefit from working with influencers like these, please get in touch. 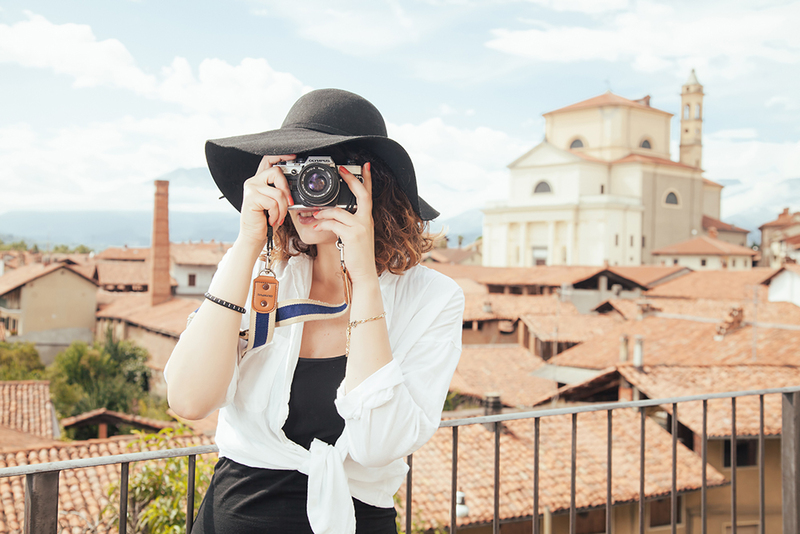 After traveling to London, Lisa discovered a whole new way to inspire people by sharing her high street shopping trips, and living a life of luxury and style. Something that started as a creative outlet has evolved into a part-time job, in addition to her work in physiotherapy and passion for health. The reason we love her is because her passions do extend beyond fashion, like health and travel – being what we like to call a “360 influencer”! She has worked with different brands including Magnum (a FORWARD client) , Kate Spade, The Iconic, Nike, Pure Organic Bars, Yves Saint Laurent, amongst others. 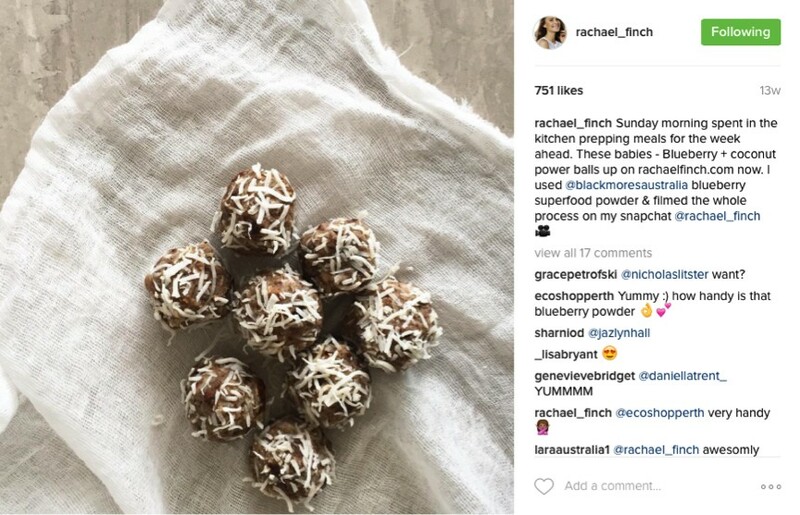 7 Channel TV Presenter and MYER ambassador, Rachel Finch has inspired audiences all around the world with her beauty and aspirations. She has made her mark on the world stage when she represented Australia at Miss Universe in the Bahamas in 2009. Since then, the natural beauty has proven her versatility across a great variety of platforms and projects. 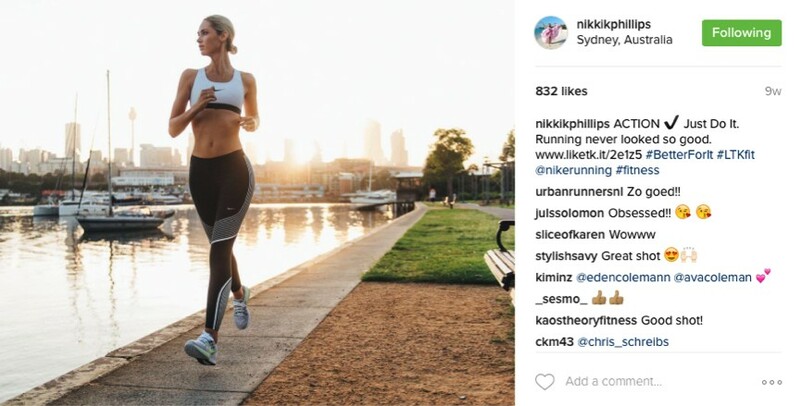 This Australian influencer knows how to authentically engage with her audience on number of different topics and brands that play within lifestyle, food, fitness, beauty, travel and fashion categories – such as New Balance, Speedo, Target, Virgin Australia, Blackmores, to name a few. We worked with Rachel with our client Vitasoy. Besides her various projects and brand work, she also contribute regularly to different charities – so you know she’s a safe bet when it comes to ambassadorships as well. Watch this space! After winning Australia’s heart in the popular TV program The Bachelorette in 2015, Sam Frost has proven to be a strong and motivational woman. Sam is all about empowering men and women to be their best self, sharing her passion for health and well being in every aspect of life. She shares a lot of her personal life with her fans, from where she’s holidaying and eating, to how she’s getting ready for her next big event and keeping herself healthy. Her contributions with brands like Alpha Keri (a FORWARD Client) and Sumo Salad. 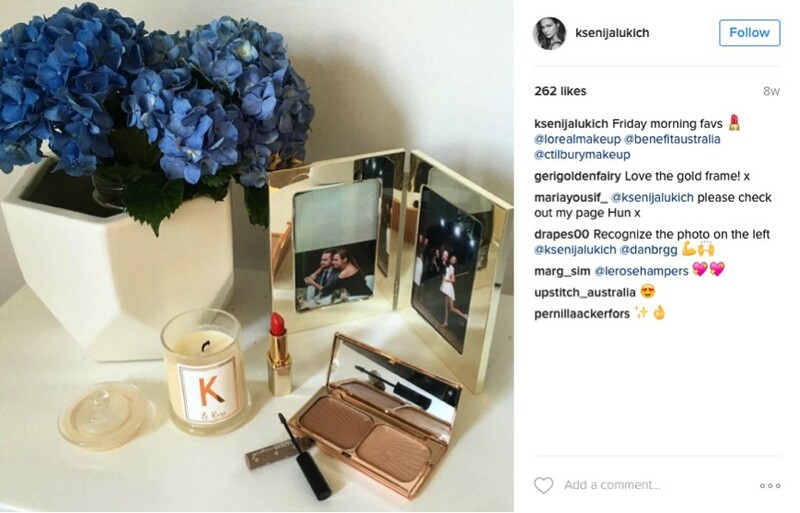 Sam also works with media titles like Cosmopolitan, NW magazine and Channel Ten. She now hosts a radio show next to Rove from 6 to 9 am every weekday in 2DAY hit104.1, and can engage well with every-day Australians. Nikki is known as a dynamic influencer as she has appealed to a wide range of media titles – making appearances on TV shows such as Channel 10’s Can of Worms, New Zealand’s Next Top Model, The Morning Show, Today Show, Pyramid, 12 ways to Christmas along with filming many fashion and fitness pieces for Austero and Foxtel. She has also been the face of brands such REEBONZ, Cotton On Body, Cleo Magazines Swim Week, Jockey, Emma and Roe; and worked with multiple brands like Magnum Chocolate, The Iconic, Polo in the city, Jeanswest, Gillette and RM Williams. With over 700,000 views, her blog is a must read – especially if you’re interested for #inspo when it comes to leading a healthy and glamorous lifestyle! Pia left her law career to follow her dreams, and now is a highly influential model and blogger who epitomises a healthy lifestyle. She has graced a number of magazine covers and has been featured in publications such as PopSugar, Style Magazine, Lita Magazine, Maxim, Sports Illustrated, CLEO, The Collective Renegade, FHM, and M! Her blog “Finding the Finer” is definitely worth looking at, as she puts a lot of her heart and soul into what she shares with her fans. She’s known to have incredible fan engagement, not just likes but comments and starting conversations. Her brand work includes L’Oreal, Garnier, Numestyle, Adore, and she also owns sportswear line, SLINKII Athletic. Based in Sydney, Talisa Sutton is the founder of fashion & lifestyle blog, Badlands. Started in 2010, Badlands is a website where Talisa shares her love of design, interiors, fashion and travel including personal style and collaborations such as L’Oreal, Gucci, Ferragamo and David Jones. 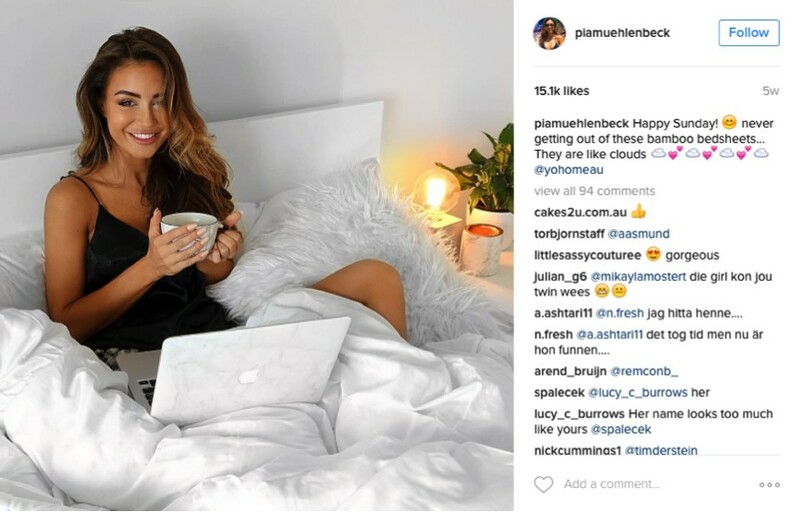 Her work across different media titles has been instrumental to her social media success, as we seen her work with brands becoming more frequent. 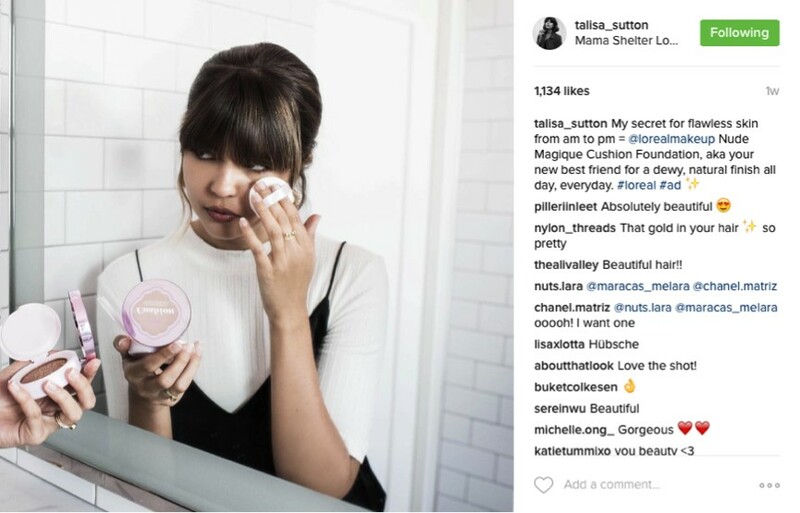 Again for Talisa its about engagement – she knows her audience looks to her for advice on where and what to buy, so will frequently respond to questions her followers post. Yan Yan Chan, who might seem just an average student, has captivated the attention of thousands through her blog and social media. 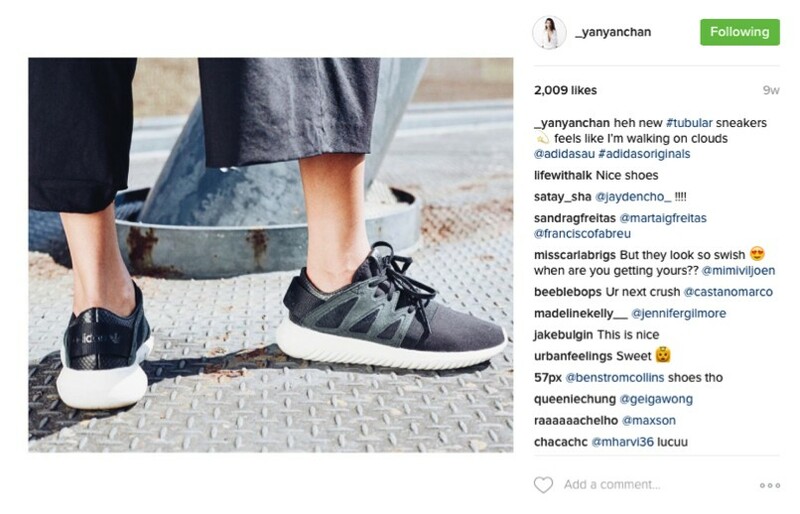 Her creative posts has gotten David Jones, Adidas, Club Med, Air France, Elleryland, Oroton to work with her. Yan Yan has now also added content curator for Topshop Australia to her resume, so we’re excited to see what she does next with her social media pull. 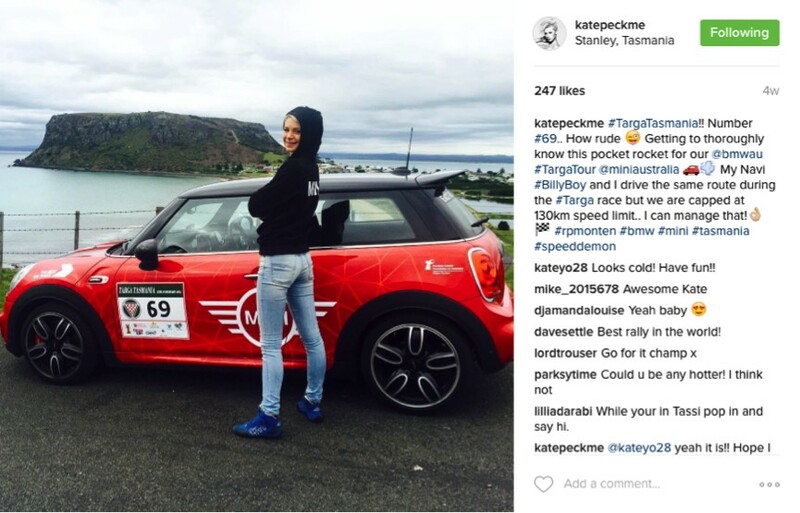 If you’re looking to follow someone fun and possibly a little bit different to what you’re probably used to, @katepeckme is definitely influencer for you! That’s why we love her – because she is so fun and so real, and being relatable is really important when it comes to social influencer. Since taking on the role as video jockey for MTV in Australia in 2012, Kate has been wowing audiences with her fun loving spirit and engaging interviews. 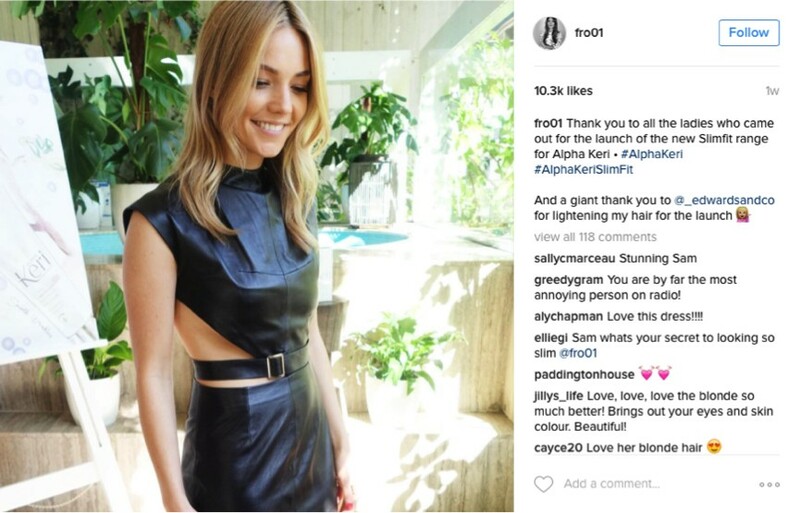 With an impressive list of ambassadorial roles to her name like Myer and brands like BMW Australia and Benefit, this influencer has proven to be genuine and outstanding. Plus, she is a big supporter when it comes to crowdfunding for humanitarian causes, this is definitely one to watch! Ksenija Lukich is the new face of newly established E! Australia and co-host of the The Hype. She isn’t all looks an glamour, boasting a Post Grad degree in Journalism student from UTS. This well-known presenter has hosted some of Australia’s biggest events including the Guess Spring Summer 2015 Launch alongside Gigi Hadid, and the Kendall+Kylie Collection for FOREVER NEW. It’s apparent from her social channels, she’s very much into fitness, friends and good food! Before starting with E! Ksenija worked as an international model in New York, Paris, Tokyo, and New Zealand, for varied clients including L’Oreal Paris, Guess, Nautica, Goldwell, David Jones and MYER. 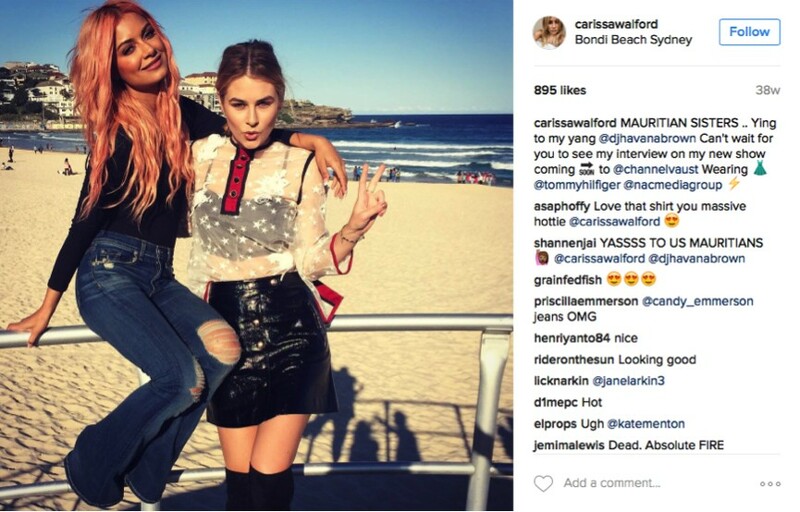 Carissa Walford is an up and coming Australian television presenter, focusing mostly on music, fashion, film and pop culture. As the female face of Foxtel’s Channel for a staggering 5 years, Carissa progressed to hosting her own TV show #VTRENDING. Carissa brings a wealth of experience, reporting internationally on the latest news to interviewing some of the biggest names in the business, including artists like Iggy Azaelia, Pharrell Williams, Channing Tatum, Ed Sheeran, One Direction, Matt Damon, Cara Delevigne, Kim Kardashian, and Drew Barrymore. Her engagement through her blog and social platform has gained a powerful and influential voice that has brands lining up. 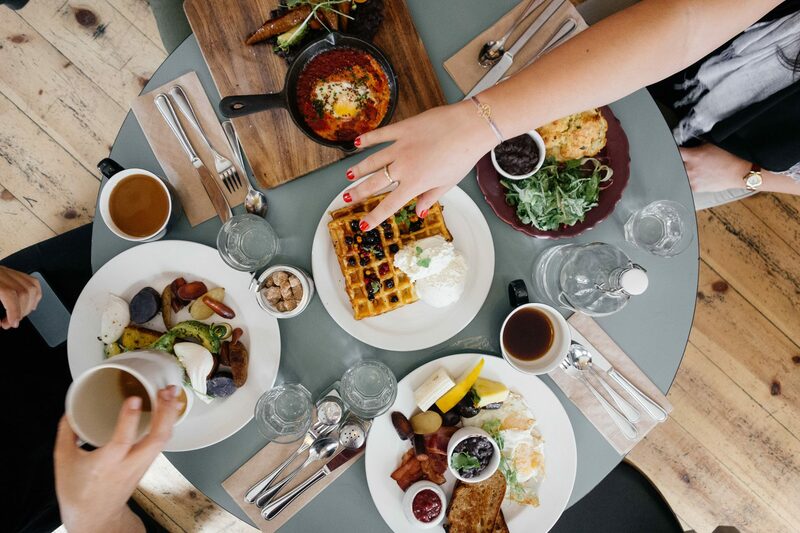 In Part 1 of this blog post we considered which video platforms are available for your food stories and some examples of how brands are using these platforms effectively to drive consumer engagement. In this post, I am reviewing a few of our favourite food channels. These channels are creating innovative, simple and beautiful content with recipe videos that are driving millions of views daily. 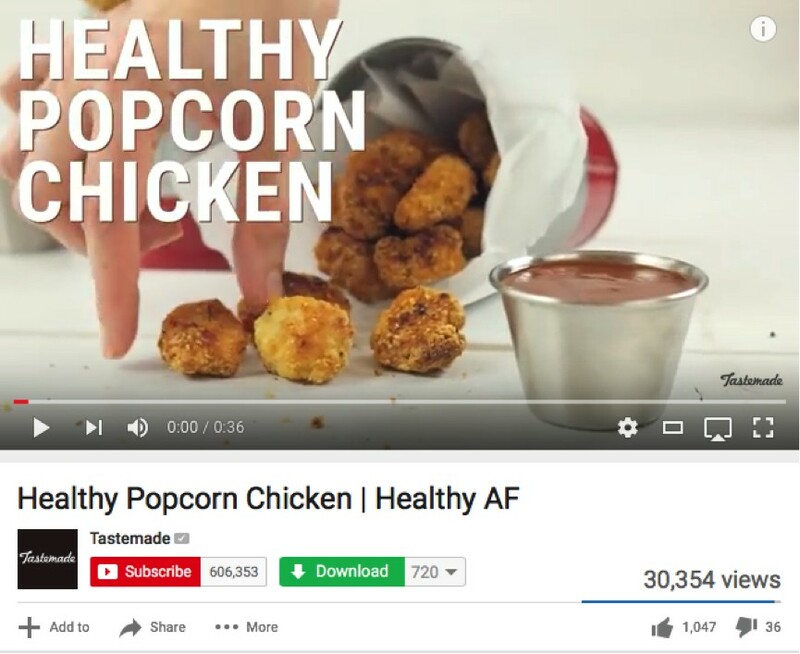 At the end of this post, I will share my top five tips for producing amazing snackable video content for food brands (yes, pun intended!). Buzzfeed food is known for their really simple and quirky recipes and hacks that prove that cooking can be fun and entertaining. Reaching different audiences, from true food fans to people who are just curious and enjoy the show. Tastemade is a video network built for the mobile generation. They enable people to come together to discover and share their passion for great food and travel. From quick recipes to original series, they’re uploading two to three new videos every single day, to share their favorite food and travel stories from around the world. One of the most popular Tastemade’s platforms is the Discovery section in Snapchat, where they share behind the scenes videos about their crazy food creations, kitchen tips, and trending ingredients. With only three months of being created in 2015, the BuzzFeed’s channel Tasty, has reached almost 17 million views, demonstrating the great impact that food has on people in social media. This channel makes it easy for people to understand how meal preparation is done and incentive consumers to buy food ingredients and utensils to make it themselves. Almost all of their video creations are no longer than 1 minute, keeping it simple and easy to engage with the audience. Ann specialises in creating and sharing of creative desserts, cakes, and chocolates. Something people from all around the world seem to enjoy. If you would like to find out more or discuss how FORWARD Agency can help you develop videos like these, please get in touch! While watching the start of MasterChef Season 8 this week, I have been reflecting on the power of video content marketing to not only stimulate wannabe chefs, but also regular home cooks who are looking for new recipes to break the mid-week boredom of plain old meat and three veg. Video is making helpful cooking tips more accessible than ever, especially with smartphones, whether you are in the supermarket or the kitchen. It is the perfect medium for a food brands to get people inspired, teach them a new skill, or just put a smile on their faces – and then share it with their networks. Because of video’s inherent ability to stimulate the taste buds, this format is driving unprecedented engagement and new brand followers. Which means more love and bigger market shares for the brands that get it right. 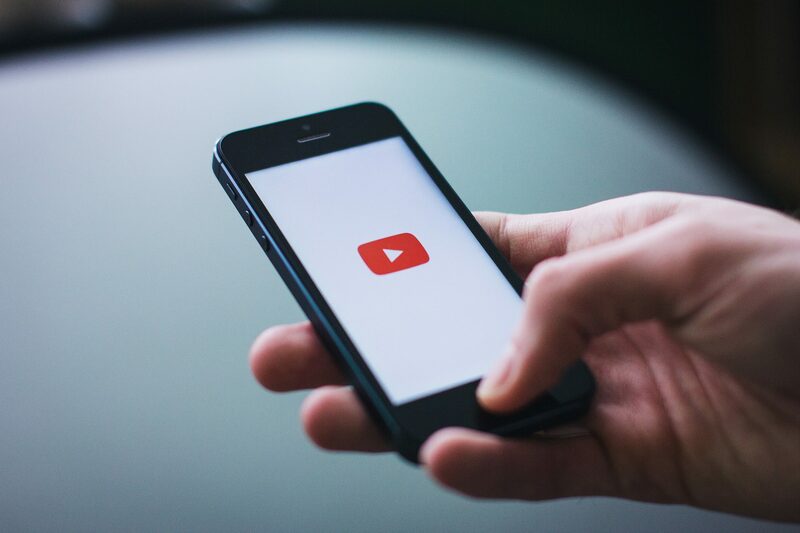 With 4 Billion views per day, and regarded as the second largest search engine on earth, YouTube is the “go to” destination for “how to” videos. So it is perfect for targeting your product and recipe content to people who are asking the perennial question, “what’s for dinner?” or “how do I do that?”. 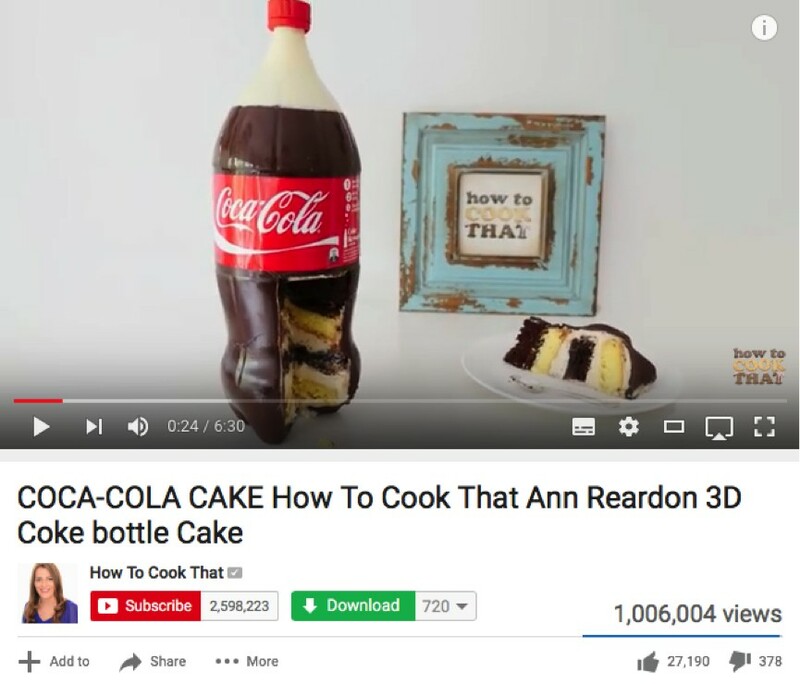 YouTube has helped content creators (and brands) build massive food audiences through gourmet recipe inspiration, clever kitchen hacks, simple recipe ideas and easy to follow instructions. For example, SunRice realised there was still a massive job ahead to educate people on the basics of how to cook rice. By listening to their core audience and analysing feedback, SunRice was able to address peoples most frequent questions. The answer was to create a bunch of simple “how to” videos with SunRice’s brand ambassador Poh Ling Yeow of MasterChef fame and then sit back and watch the brand’s views and engagement go through the roof. Food plays a big part of this video wave. 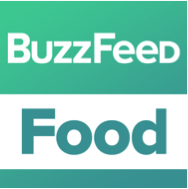 With a combined 2.6 billion video views on Facebook last month, BuzzFeed Tasty, and BuzzFeed Food were the most watched food publisher pages. For brands, we feel that Facebook is a great place for lighter, more entertaining or fun short form content that is easy to digest (pardon the pun) as it comes up in your Facebook feed (also another food pun, sorry). 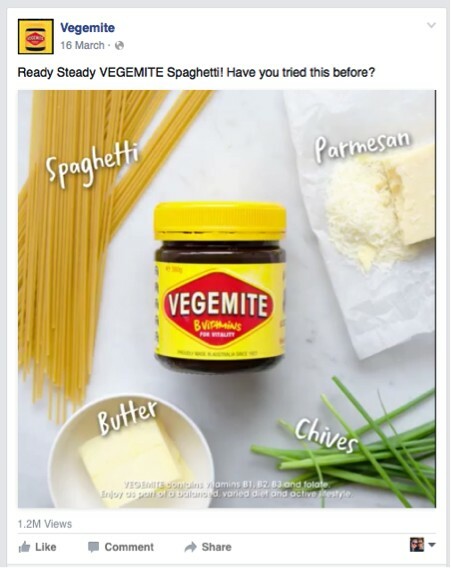 Vegemite does this beautifully with simple recipe ideas like cheesy vegemite pasta in 28 seconds – love or hate the taste of vegemite, the video instantly stimulates an emotional response, requiring everyone to like or dislike it (thanks to that new dislike button on Facebook). But arguably even a dislike for vegemite is good for the brand – think about the “I Hate Marmite” campaign from a few years back in the UK. This is a brand that people just have to take sides on. With around 400 million active monthly users, Instagram continues to be one of the most important social platforms for video publication and distribution. 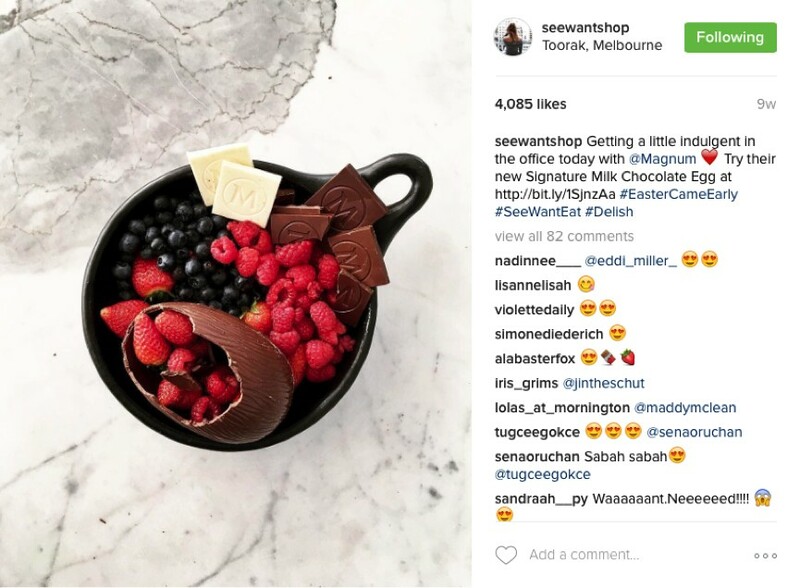 Food influencers have amassed huge audiences here – with food pornesque imagery and snackable (yet another food pun) 15 sec videos that make the mouth water. 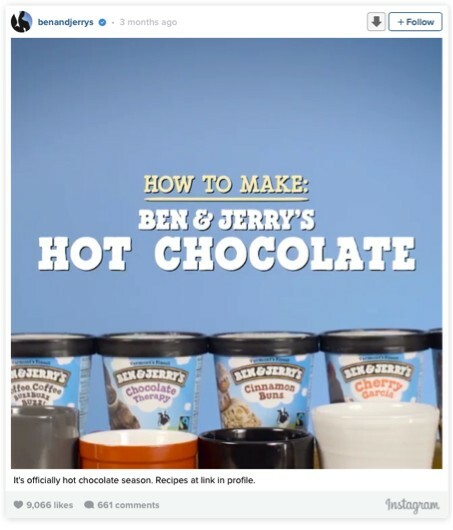 We love what Ben and Jerry’s is doing with their series of hints and tips that stimulate extra consumption opportunities for ice-cream. These link back the B&J website where people can watch longer form YouTube video tutorials. Recently, Instagram has allowed users to upload up to 60 seconds videos, instead of just 15, encouraging brands and influencers to develop the creative narrative further, giving brands more opportunities to develop even more emotive, beautiful and engaging content. 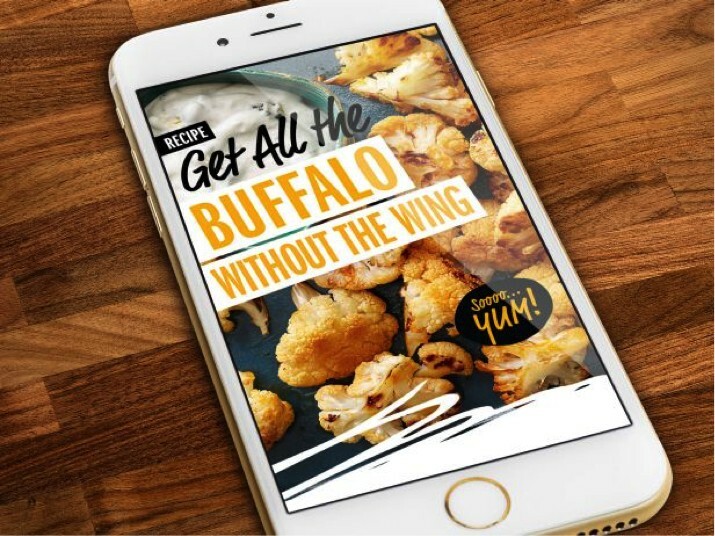 With 100 million daily users and 8 billion daily video views, this platform provides the place to absorb content around the clock and follow the ‘behind the scenes’ of recipes and meals in a very quick and concise way. Giving users the opportunity to see what the best food channels like Food Network, Tastemade and foodies are sharing in a very short amount of time, but long enough to engage. Next week in Part 2 of this post, I will explore some of the best food and recipe publishers to see what brands can learn for their own video content. In the meantime, if you would like to find out more about the power of video to drive more connections, engagement and sales for your brand, please get in touch. Disclosure: SunRice is a client of FORWARD Agency.